WAIST HIGH: Stan Ridgway To Release New Album. Stan Ridgway To Release New Album. Due for release August 24, Neon Mirage might be the most "emotionally revealing, musically far-ranging" work of the singer-songwriter's 30+ year career. "You never really have a choice about the tone and subject matter of the records you make," confides veteran L.A. singer-songwriter Stan Ridgway about his new album. "At least I don't. They’re obsessions, really. Things happen, good and bad. And for most people, the passing of a parent or a close friend has an impact. It's really about the music, and how it heals the mind. The records I grew up with still inform me, and the best were like an inner journey - mixing up blues, jazz, pop and country to make something fresh and, in the end, positive. But you can't ignore the darker side of things, either." Ridgway lost his father, friend and violinist Amy Farris, and an uncle during the recording of Neon Mirage; "Events like that can’t help but have an impact on the music you're making at the time," Stan admits. "You’d be lying to yourself - and your listeners - if you thought otherwise." 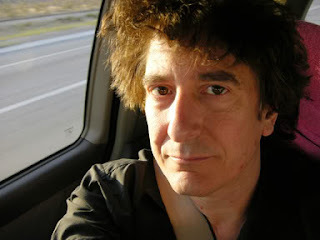 From stanridgway.com: Raised in L.A., Ridgway began his love affair with Southwestern gothic 30 years ago as front man of vanguard electro-art punks Wall of Voodoo, who originally formed with the intention of scoring low-budget horror films. Ridgway sang on the band's debut EP and first two albums, Dark Continent and Call of the West (which included the accidental MTV hit "Mexican Radio").